You are here: HomenextBlognextWhat is Resorting to the Coast and Who Are We? 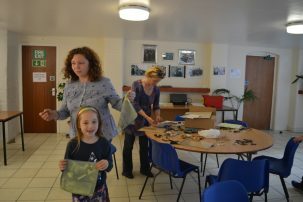 Resorting to the Coast is the name given to an exciting new project between Tendring district’s coastal heritage communities, its schools, local volunteers and the public to celebrate the glorious heritage of our seaside resorts. 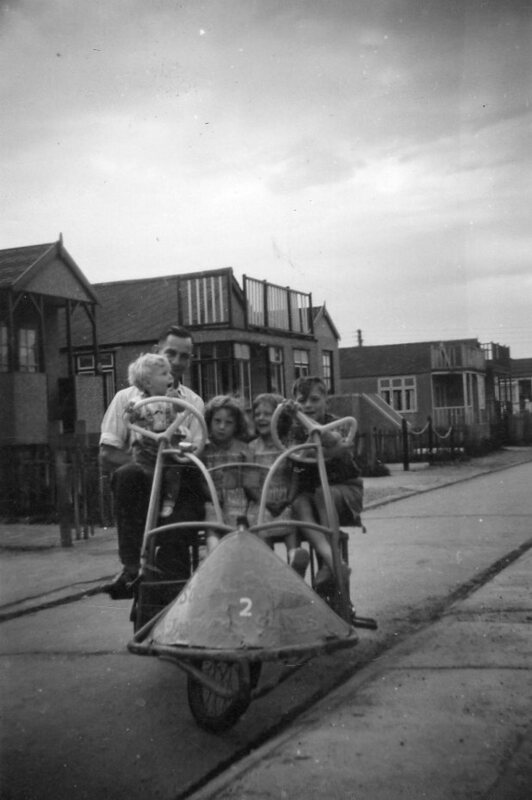 This website offers a gateway to the stories of five Tendring coastal towns. 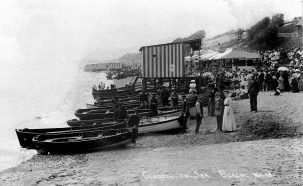 In the very early days of the seaside resorts, the wondrous engineering and technology of the Victorian Age coincided with the tradition of the great British seaside holiday. 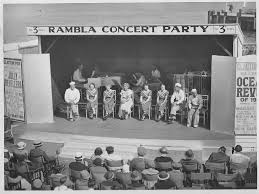 This fusion of Victorian social history, technology and engineering gave rise to the ‘invention’ of five holiday resorts which catered to the varied public taste and demand: Clacton-on-Sea, Frinton-on-Sea, Walton-on-the-Naze, Jaywick Sands and Dovercourt. They are all very different seaside resorts and the vision of several generations, starting with the Victorians, who set out to build a holiday haven for visitors using the modern technology of the Age: the invention of the railway and the building of piers. This website tells the stories, past and present, of people ‘resorting to the coast’ of these five coastal resorts using original material, oral histories, photographs and walks. Our interactive story map illustrates the stories of people ‘resorting to the coast over the decades.’ We invite you to become a contributor to the website with your stories of seaside holidays in Tendring. Between now and July 2019, the Resorting to the Coast project will deliver lots of activities, all for free, inviting everyone to become involved. We’re inviting you to rediscover and celebrate the history of our seaside resorts. Here’s a sample of what’s coming up and remember to keep an eye on our Events calendar! Local history groups across the Tendring coastal towns will be recording 25 oral histories with those who remember our seaside heritage. Volunteers are invited to learn how to record oral history interviews. Or perhaps you remember Clown Bertram and have memories to share?! Opportunities for volunteers to become involved with Resorting to the Coast with training courses in history research skills, oral history recording, performing seaside entertainments, transcribing interviews. 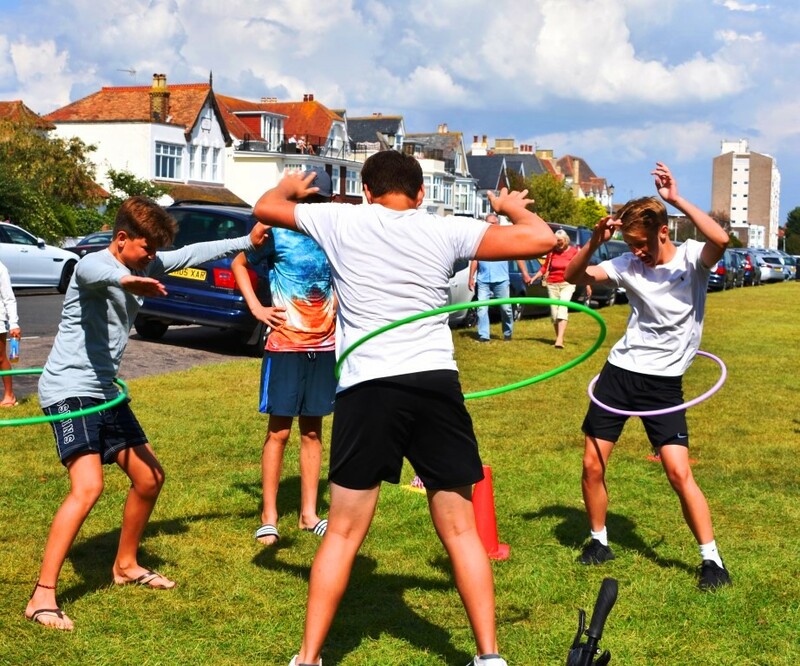 A schools programme with 10 schools in the Tendring coastal towns and the production of activity and learning resources based around our Tendring seaside heritage and the growth of these holiday resorts. Two seaside conferences for academics, heritage professionals and keen hobbyists to showcase their research about our wider British seaside heritage (with a focus on Tendring’s own heritage). The conferences will be in partnership with the University of East London. The creation of two coastal heritage trails linking the new coastal path with interpretation and activities. The design and creation of a touring exhibition showcasing the research by our volunteers. Become a volunteer for this! Our full website will be launched in the late Autumn of 2017 and will host all the material produced from Resorting to the Coast project and attractions on the heritage trails, activities for kids and families. A grand finalé seaside heritage day coming in the summer of 2019. Resorting to the Coast is funded by the Heritage Lottery Fund and Essex County Council in partnership with Tendring District Council and the freely given time of our dedicated volunteers for the project.